A joint stock company is a limited liability corporation with a registered capital of a minimum of 25.000 EUR or the equivalent of 90.000 RON and with at least two shareholders. Shares could be registered shares or bearer shares and can be freely traded or pledged. A joint stock company may be set up by full and simultaneous subscription of the registered capital by all signers of the constitutive act or by public subscription. • subscribed share capital and paid share capital. The minimum share capital subscribed by each shareholder at the very moment of setting-up the company cannot be less than 30% of the total sum. The other 70% must be allocated in the following 12 months from the registration. For the foundation of a joint stock company whose shares are allocated through public subscription it is required a specific document called prospect de emisiune (an issue prospectus). This issue prospectus, signed by founders in authentic form, must be submitted before publication to the local Trade Register. The mandatory judge of the Trade Register shall authorize the issue prospectus publication. Furthermore, in order to open Romanian joint stock company by public subscription it is mandatory that the entire registered capital outlined in the document has been subscribed and each acceptor has paid in cash half of the costs of the subscribed shares. These funds shall be subscribed to the Savings and Consignment Office, to a commercial bank or to one of their subsidiaries. If the public subscriptions exceed the registered capital, as it was mentioned in the prospectus, or are less than the sum proposed, a constituent assembly must be called in order to agree the necessary changes of the registered capital. In order to accurately follow the process to set up SA Company, an official public announcement (in the Official Gazette) indicating the setting-up meeting is required within a period of maximum 15 days from the subscription closing date. The purpose of this meeting is for the shareholders to take note of the capital subscribed, agree on the value of any payment in kind, back up the starting point for profit-sharing between initiators of the business and other shareholders. During this meeting, managers and two or more secretaries will be assigned. For the case of the joint stock company in Romania, the law stipulates that resolutions are made by mainstream ballot in the General Meeting of the Shareholders (1 share = 1 vote). On the other hand General Meetings can be a regular assembly, hold at least once per year or under exceptional circumstances, called in case of decisions regarding modifications of the Memorandum of Association. Meetings need a quorum of 75 % of the shareholders and a simple majority vote of the quorum is demanded to agree modifications in the Memorandum of Association. Unless the Memorandum of Association specifies something else, shareholders will vote in accordance with the shares they own. Shareholders could entitle other shareholders to vote on their behalf through a substitution contract, if statute doesn’t forbid it. The executive power of a joint-stock company is hold by a Board of Directors, even though it is likely to have just one Manager. In any case half of the Administrators have to be Romanian citizens except for the case in which the foundation regulations and corporate statute stipulate something else. It is not mandatory for the executives to be shareholders. They are elected by the General Meeting of Shareholders, which institutes their authority, for a period of maximum four years. The managers can be re-confirmed. The procedures to be followed when deciding to set up SA Company stipulate that, prior to beginning their job, managers are requested to place a guarantee, representing a minimum value equal to the price of ten shares or corresponding to an amount of two times their annual salary. The General Meeting of Shareholders appoints three auditors and three deputy auditors (unless in the Articles of incorporation it is mentioned a greater number than three). At least one of them has to be a certified accountant or a chartered accountant. Most of the auditors and of the deputy auditors have to be Romanian nationals. One of the auditors has to be recommended by the Ministry of Finance in case 20% of the company's share capital is owned by the State. 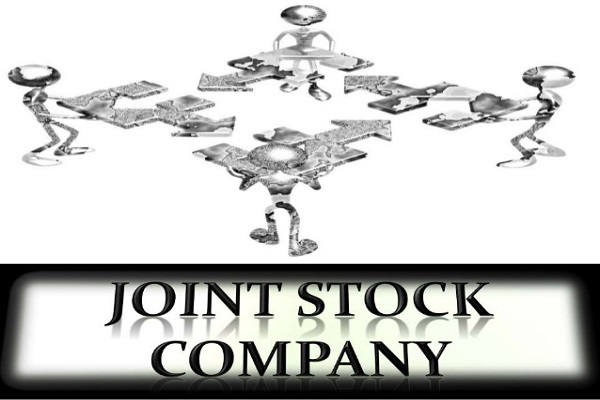 If interested to open Romanian joint stock company you should also know that the terms limited incorporated or corporation in the designation of the company (Societate pe Actiuni, S.A) distinguish a joint stock corporation from the other types of businesses. A Joint Stock Company in Romania is recommended for big businesses and important investments, being a complex type of legal entity. As well as the associates from a SRL, the stockholders from a Romanian joint-stock company can also be legal persons or individuals. The difference is that, here there must be at least 2 stockholders. In the case that the company has less than 2 stockholders for more than 9 months, anyone interested can ask the dissolution of the company in court. There is still time to avoid the dissolution, by bringing at least one more stockholder in the company until the final decision of the court is announced. In the case of joint-stock companies, the registered capital must be at least 90.000 lei. This threshold is regulated by the Government every two years in order to match the equivalent of 25.000 Eur in Romanian currency. The stockholders may contribute in receivables or cash excluding the working performances that are not allowed to increase the capital. Contributions that are made in-kind must be economically evaluated be the experts appointed by the judge in 5 days from submitting the registration request. The expert, or experts, must be from the authorized list and will need to write a report in which the way of evaluation and description of each good will be included, as this must clearly state the granted shares in exchange for their value. 3. Stocks have equal nominal value resulting in equal rights for the owners. Still, stocks that are issued according to the Articles of Incorporation and provisions of preference stocks law, do not offer their holders the voting right in the General Gathering. Holders of these types of stocks are entitles to priority dividend distribution through the financial year. Certain key persons in the company are not entitled to preferred dividend stocks: directors, administrators or auditors. 4. Stocks might be: nominative or to the barer depending on their nature which is determined by the Articles of Incorporation. However, if the general gathering decides, nominative stock can be turned into barer stocks and barer stocks can be turned into nominative stocks. 5. Stocks are negotiable as they incorporate patrimonial value. Therefore, they are considered securities of bonds and can be traded on regulated markets. They can participate to general meetings of shareholders, they can vote (if this right was not suspended for those who weren’t informed about due levies), beneficiate from dividends, know about the activity in the company and also have the right to their deserved part in the case of dissolution. On the other hand, they must pay their levies due according to the legislation and if they do not pay, a demand of payment will be published twice in 15 days in the Romanian Official Gazette. Since 2006, the Romanian commercial law implemented a new concept regarding joint-stock companies management as the state wanted to meet the European Union regulations. According to this legislation, there must be a board of administrators and directors that will realize the management and administration of the joint-stock company, this board being known as the unitary system. On the other hand, the administration can be done through a dual system: the supervision board and the directorship. One of these two systems will be chosen by the Articles of Incorporation. - There is only one Board of Administrators that can delegate leadership of the company to directors. The company can be managed by only one administrator of more (odd numbers only), the Board of Administrators will be formed when there is more than three administrators of the company. The number of administrators is also determined by the Articles of Incorporation. The board must elect a President and none of the administrators can be employees of the joint-stock companies. - The board must establish accounting policies and financial control system, determine the main directions of development and activities, supervise directors’ activity, appoint and remove directors, prepare annual reports and implementing the decisions made at the Shareholders General Meeting that they also have to organize. - The Supervision Board controls the directorship’s activities, which are in control of the company leadership and administration. Members of Directorship cannot be employees of the company of members of the Supervision Board, as the Supervision Board assigns them. - The Supervision Board must verify the compliance of the General Assembly decisions and management operations to the legislation provided by the Articles of Incorporation and once a year report to the General Assembly of Stockholders regarding their activity.